WHAT DO YOU MEAN, I CAN DEDUCT THAT? Discover the little known strategies that can help slash your tax bill. When it comes to tax write-offs, instead of asking “Can I take a deduction?” ask “How can I take a deduction?” This is the difference between simply filing your taxes and tax planning. By taking a proactive approach to your taxes, you can save thousands of dollars every year. 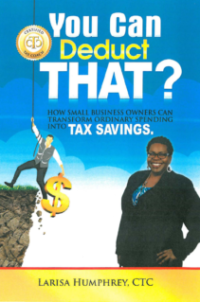 America’s Top Certified Tax Coaches will show you how! 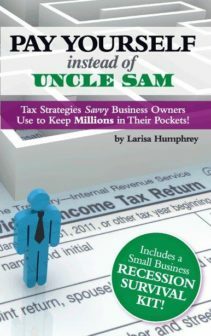 Taxes are the largest single expenditure for small business owners. It’s not just about saving money, it’s about the financial health of your business. How to take advantage of write-offs: Look Forward. Most tax advisors are focused on the past, reporting your expenditures of the previous year. Tax planning requires you to look ahead and take action in order to take advantage of the many legal loopholes, credits, and deductions available to you. America’s Top Certified Tax Coaches can teach you how to reduce your tax payments.